This year, the UK made an exciting step on its journey towards next-generation network coverage with the launch of the first 5G network testbed for connected and autonomous vehicles (CAVs) at Millbrook. The site gives CAV developers access to a low latency, wide-area wireless infrastructure that works seamlessly across the entire Millbrook Proving Ground. While prototype systems and technologies for CAVs are being developed quickly, the financial case and network standards needed for operators to build large scale 5G-based networks capable of supporting driverless travel on motorways are still some way off. For a start, the EU is still pushing for self-driving cars to communicate using Wi-Fi-based systems, despite growing objections from the telecoms industry and some European governments including Finland and Spain. A move in favour of a Wi-Fi-based approach could potentially slow the deployment of mainstream 5G technology in Europe for the foreseeable future. In addition to the ongoing debate about the way forward at a parliamentary level, there are many other key building blocks that need to be in place before cars can seamlessly drive down the motorway sans human drivers – not least of which include insurance considerations, manufacturing and product development, wireless and public infrastructure development, and so on. Whilst the Millbrook testing ground is a step in the right direction in terms of development, it’s certainly no silver bullet. While it’s not out of the question to imagine the autonomous cars of the future relying almost exclusively on the operation of the 5G network, comparatively little public discussion has been focused on what happens in the event of a network failure. How will network or technology redundancy be handled, for example, to ensure continuous availability of coverage in case of an intermittent 5G signal? And how will all of this be communicated to the passenger and will they be required to take some sort of action if there is a catastrophic failure? 5G will clearly be a key player when it comes to handling both end-user and backhaul transmission of critical mapping and vehicle-to-vehicle data. As plans for 5G become a reality, however, we will initially see a ‘mesh’ of both existing and next-generation networks in place to support the rollout. Last year, we tested 4G network connectivity on major motorways, and whilst availability of 4G was good – at least 90% coverage across all motorways – it seems likely that the level of coverage offered here will be largely insufficient for fully autonomous vehicles, beyond things like software updates and vehicle-to-dealership communication. Similarly, the gaps that did remain were largely filled by the less capable 3G network, and clearly, the requirements of the cars of the future will have progressed far beyond the capabilities of 3G connectivity – even at in-car entertainment level. Any lack of ubiquitous coverage – and lack of a firm plan for redundant backup network capabilities – would certainly be a concern moving forward. 5G generally uses a higher frequency than existing networks, however there are practical considerations here as higher frequencies don’t travel as far as lower frequency signals. Therefore, to enable fully autonomous driving, we will need greater flexibility on signal mast location and height. 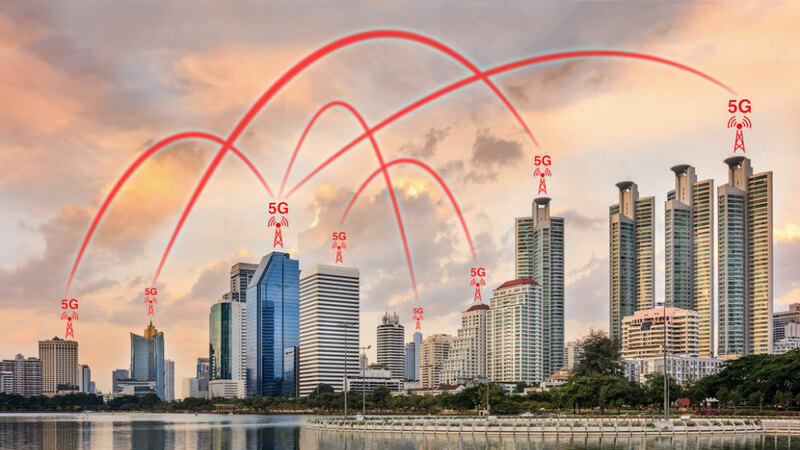 In particular, 5G cells will require closer proximity to each other in comparison to the way most networks are configured today to ensure continuous coverage. It may even be seen as necessary to prioritise which activities require 5G and which don’t in the future, or even to establish dedicated network segmentation based on use case – though how this would work practically is currently unclear. What is clear is that getting all of the available networks to work together, without fail, to ensure that data is being shared on demand will require cooperation and communication between any number of operators, service providers, and tech firms. This is where the real challenge lies. With such high levels of data throughput consistently required by the autonomous cars of the future, it’s vital that plans for rigorous network testing are also in place to ensure it is delivering on expectations. Network connectivity is not simply about achieving high speeds under testing conditions, but also about having reliable coverage with redundancy that won’t drop out at vital moments – an especially important factor when it comes to autonomous cars navigating British roads without driver assistance. Governments that are serious about quick and future-thinking 5G deployment must start thinking about how new network technologies can be worked into new building developments and roadside furniture – as well as considering how they can reduce cumbersome regulations and make it cheaper, easier and faster for local authorities to deploy the quantity of small cells which will likely be required. Businesses must also start looking seriously at boosting investment in 5G. Despite recent suggestions from analysts that businesses have yet to be given a full cost-benefit analysis for investing in 5G technology, it’s hard to argue against the notion that it has the ability to step change technology and the state of wireless communication from where it is today. It&apos;s clear that the route to ubiquitous 5G in the UK has the vested interest of many different parties and will need operators, regulators, local and central government departments, as well as technology innovators to come together to devise a solution that meets the ambitions of the industry for more reliable high-speed coverage. Although a robust infrastructure has yet to be put in place, the issue is likely to receive increasing attention in the coming year as network capabilities progress and innovations continue to be made. Demand for 5G is certainly apparent, which in turn helps strengthen the financial case for investment – though whether we’ve reached the kind of critical mass of public opinion that will truly drive the future of connected and autonomous vehicles remains to be seen. It will take a large amount of investment from many to fully exploit 5G, but the gains of doing so are certainly something to be excited about.